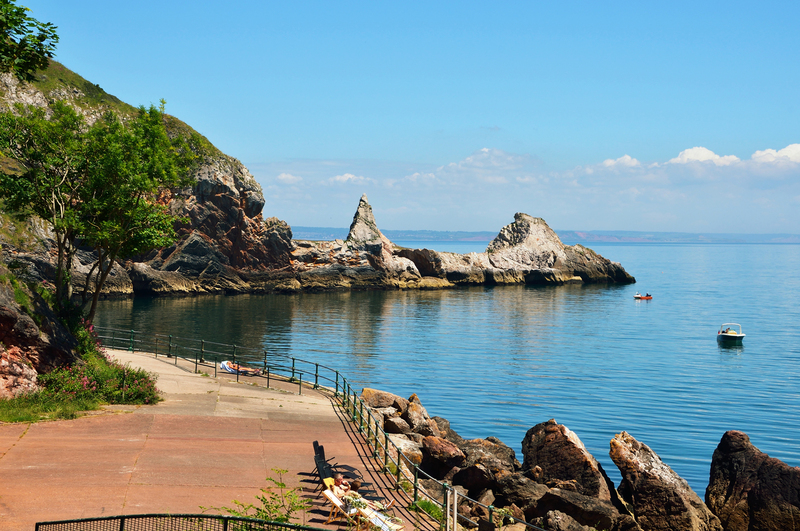 Located on the magnificent Tor Bay on the south Devon coast, Torquay is an ideal destination for short breaks at any time of the year. 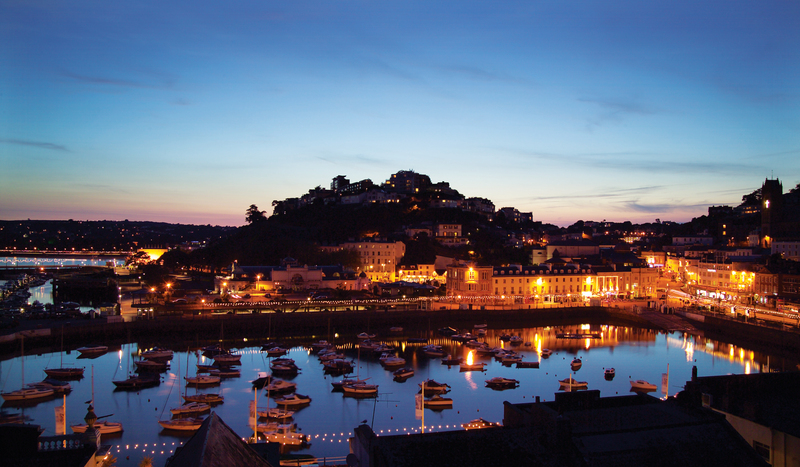 Together with the towns of Brixham and Paignton it makes up the area that is often known as The English Riviera. It has been welcoming visitors for over a hundred years and the area boasts an incredible number of attractions. These range from National Trust properties such as Coleton Fishacre, Greenway and Compton Castle to the quirky Babbacombe Model Village and Bygones in St Marychurch. Some of the attractions such as Kent's Cavern are of international importance whilst others such as Torre Abbey on Torquay seafront reflects the social, political and economic changes that have taken place in Britain over more than 1000 years. Paignton Zoo meanwhile is a great family day out with the added benefit that they are active in the conservation of rare species. Because Torquay and The English Riviera are year round holiday destinations the vast majority of these attractions stay open all year round and this means that Torquay is an ideal short breaks destination whether it's spring, summer, autumn or winter. New forms of entertainment are also being developed and a number of businesses now offer activity based breaks - these include Reach Outdoors. Good transport links makes Torquay and Ideal Short Breaks Destination. Improved road links such as The South Devon Relief Road have made the area considerably more accessible and reduced journey times meaning that weekend breaks are a more appealing proposition than before. For those relying on rail travel there are superb rails services with almost all parts of the Country as well as superb value for money coach services. Inside the English Riviera area itself there is a high frequency bus service which is further complimented by seasonal ferry boat services, steam train services and taxi services. All of this means that car free breaks are a realistic possibility. A unique micro climate prevents the English Riviera from the worst of the winter weather and the area remains remarkably mild in comparison with other parts of the country. The Victorians were early converts to the idea of a mild English Riviera winter. Torquay has amazing world class accommodation that has become even greater value for money in an era of a weaker pound especially for guests hunting for a family friendly short break or holiday. Add to this a choice of superb restaurants, places of entertainment and shopping it is no wonder Torquay remains such a popular 21st century short breaks destination. Torquay is not only a place of recreation but it is a place to do business too and many of the short breaks in Torquay are actually for business purposes especially when there are events and conferences at The Riviera International Centre. Click here for more information about conference and business accommodation. Book direct with us for the cheapest rates online without hidden booking fees. Click here to check availability, rates and to book. 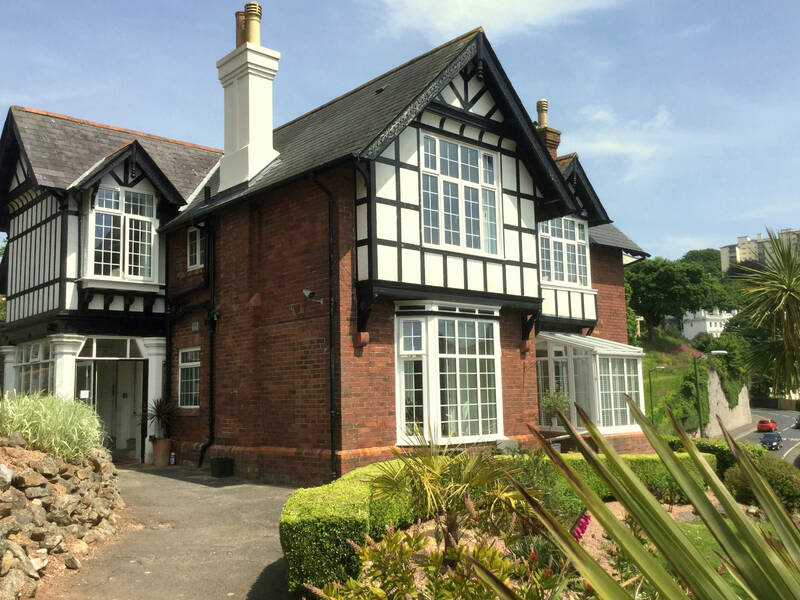 The Muntham Apartments are located in the leafy Wellswood area of Torquay and are ideally placed to access all that Torquay and The English Riviera has to offer. With accommodation ranging from the spacious luxury three bedroom townhouse, wonderful one bedroom accommodation and studios the Muntham Apartments have something for everyone. 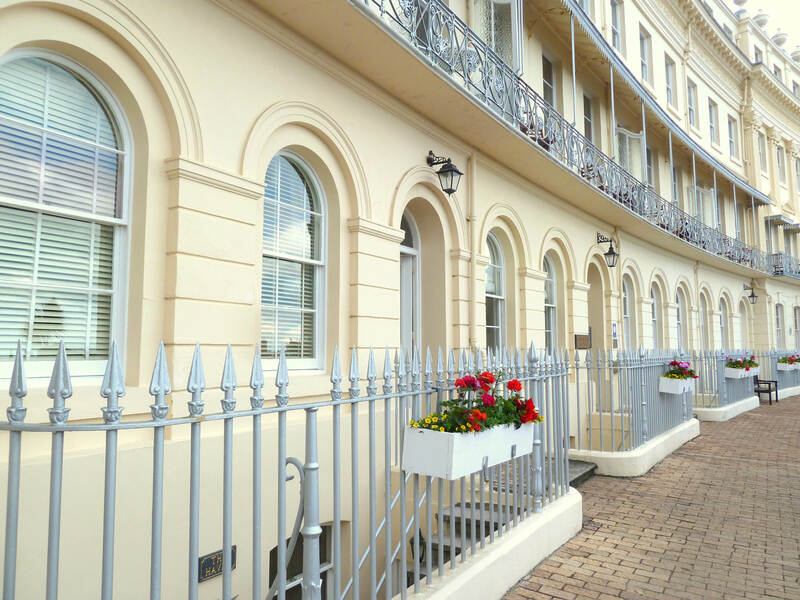 The Hesketh Crescent Apartment is a Five Star romantic hideaway for two located in a stunning Regency crescent which is perched on a cliff overlooking the sea in the Meadfoot area of Torquay. Although the apartment itself does not have sea views, you are just seconds away from breathtaking coastal scenery. The Bedford House Apartments are a collection of one, two and three bedroom apartments located close to Torquay harbour and town centre. 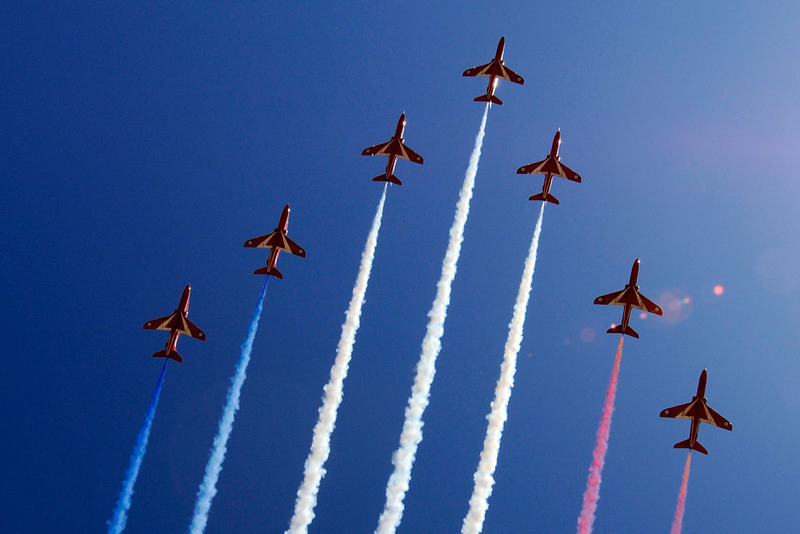 Click the link below to check availability/prices and to book. You will always get the best rates by booking direct. 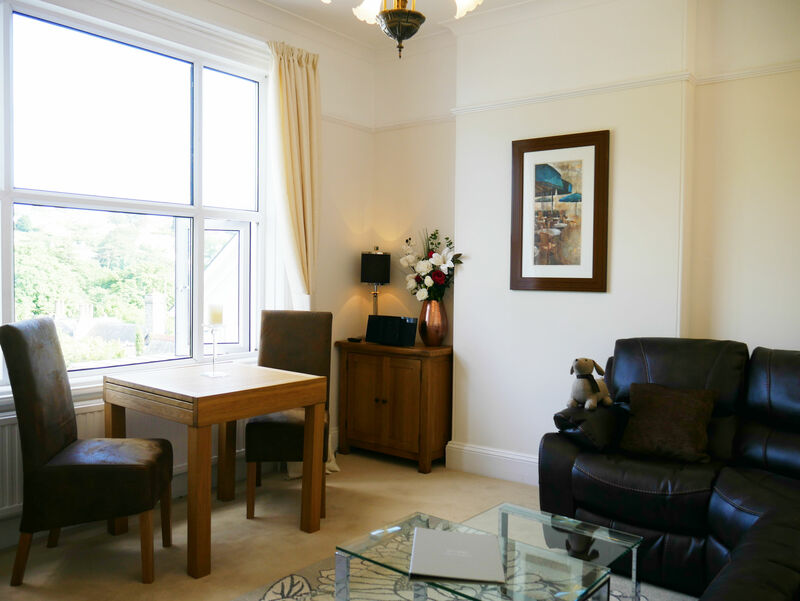 The Kinbrae Apartment is a beautiful two bedroom apartment close to the centre of the Wellswood area of Torquay. 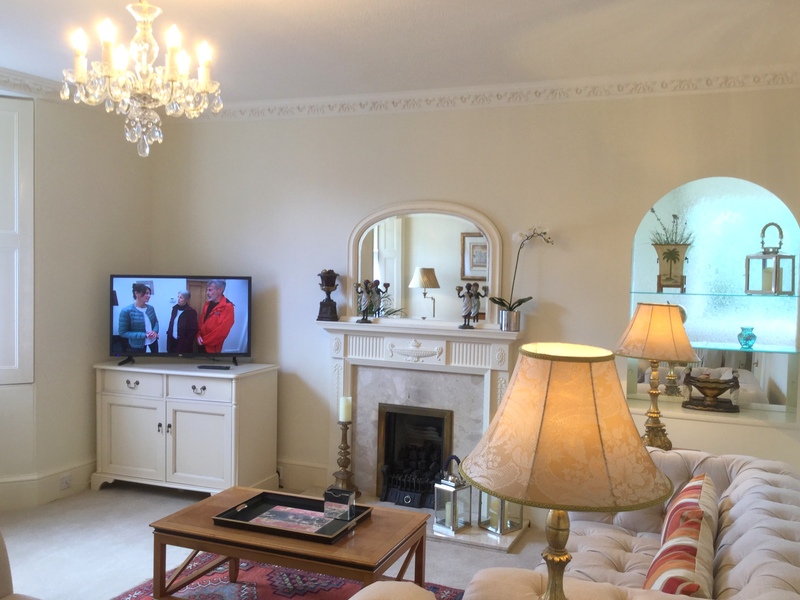 It is ideally placed to explore all that The English Riviera has to offer. Please click the link below. Don't forget that booking direct gets the very best rates.